Gulfside Assembly, Waveland, Mississippi, has a distinguished mission history, beginning as a unique Gulf Coast Methodist retreat for African Americans in the 1920s. It received United Methodist Landmark Heritage status at the 2016 General Conference, though at the time in terms of facilities it had only an open-air prayer chapel. Other buildings were destroyed by Hurricane Katrina in 2005. Gulfside was begun in 1923 by Bishop Robert E. Jones, the first African American episcopal leader of the Methodist Episcopal Church, who was based in New Orleans. “In the early part of the 20th century, the Methodist Episcopal Church, South, was totally and strictly segregated along racial lines as was most of the South and even America,” states the application for landmark status filed with the United Methodist Commission on Archives and History, which oversees the landmark process. “Hotels, restaurants, beaches, churches, and other public facilities were reserved for ‘whites only.’ African Americans had few, if any, places where they could go for those basic things of life, and especially for recreation. Gulfside served for many years not only as a place for retreats and vacations but also as a staging area for opposition to racism and segregation. Attorney, and later, Judge Constance Baker Motely had her headquarters at Gulfside as she waged a legal battle against segregation at the University of Mississippi Law School in 1962. She won in the James Meredith case. When formal segregation ended in the The United Methodist Church in 1968, Gulfside faced an uncertain future. Could it thrive as a facility for racially integrated study conferences, youth retreats, and mission conferences? It had some success, although on reduced acreage. 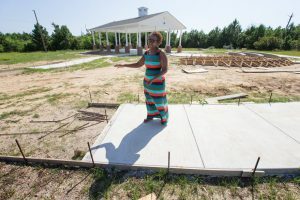 The late Marian Martin, deaconess, one-time Global Ministries executive, and longtime Gulfside director, introduced a range of new programs, including one for inner-city youth from nearby New Orleans. But Gulfside had a hard time financially as the 20th century came to a close. Just months before Katrina hit, the doors were opened on a new complex of buildings aimed at drawing vacationers and young adults. The new facilities were financed in part by funds from the former National Division of Global Ministries. 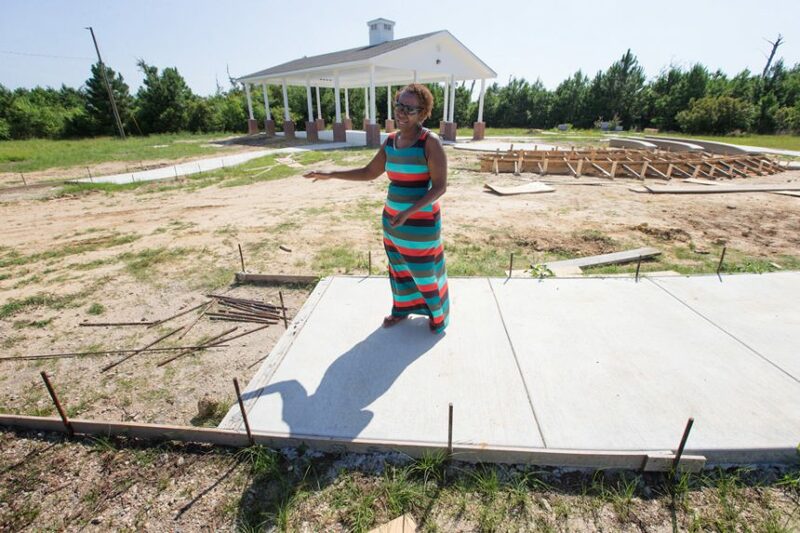 As a resilient symbol of what the future can hold at Gulfside, the open-air chapel on the site is named in honor of the late Bishop Leontine Kelly, the first African American female bishop of The United Methodist Church. Plans were underway in 2017 to restore Waveland for program use. By Elliott Wright. Elliott Wright is information consultant for Global Ministries. Adapted by the author from a May 2016 story on the Global Ministries website.